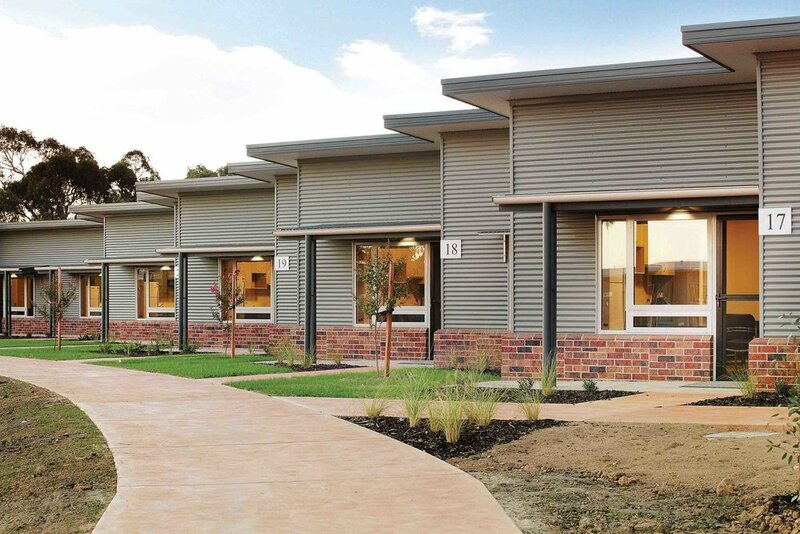 Having previously designed the upgrade and expansion of Ararat Prison (now Hopkins Correctional Centre), Guymer Bailey Architects was pleased to win the tender to design Corella Place, a 40-bed transitional facility next to Ararat Prison, that houses residents in 1, 2, and 3-bed accommodation units. A significant feature of the design is the central recreation area that provides both passive and active recreation opportunities for residents. A highly flexible administration area was also included to optimise staff comfort and safety. In the design, we also facilitated the need for residents to be kept separate from others when necessary, while still maintaining a non-punitive environment. Staff interaction is intentional and noticeable, but informal, with only passive supervision needed. The master planning and building layouts were designed to optimise natural light, and embrace natural ventilation. The residential units have hydronic heating and have been constructed with reverse-veneer to create thermal mass. As a result, every unit has received between 6 and 7.2-stars on the First Rate energy efficiency assessments. 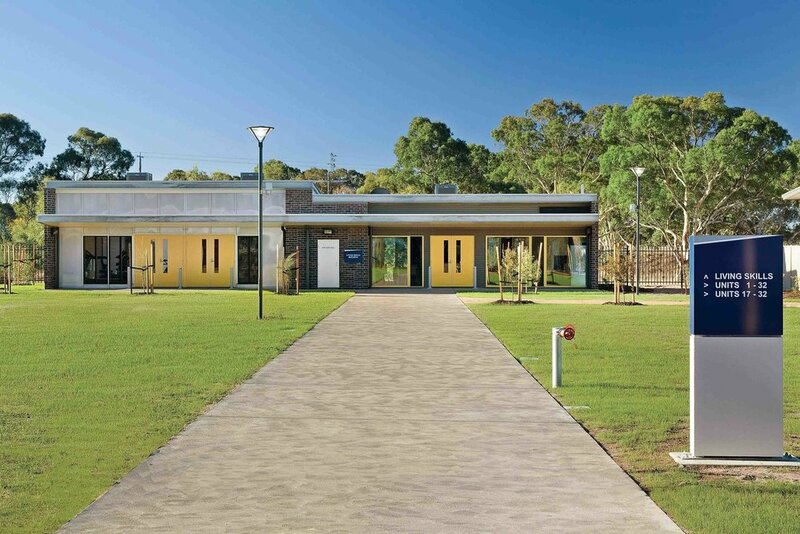 Water use on the site is also minimised through centralised rainwater collection for toilets, subsurface irrigation from the storm water dam, and electronically controlled shower timers.